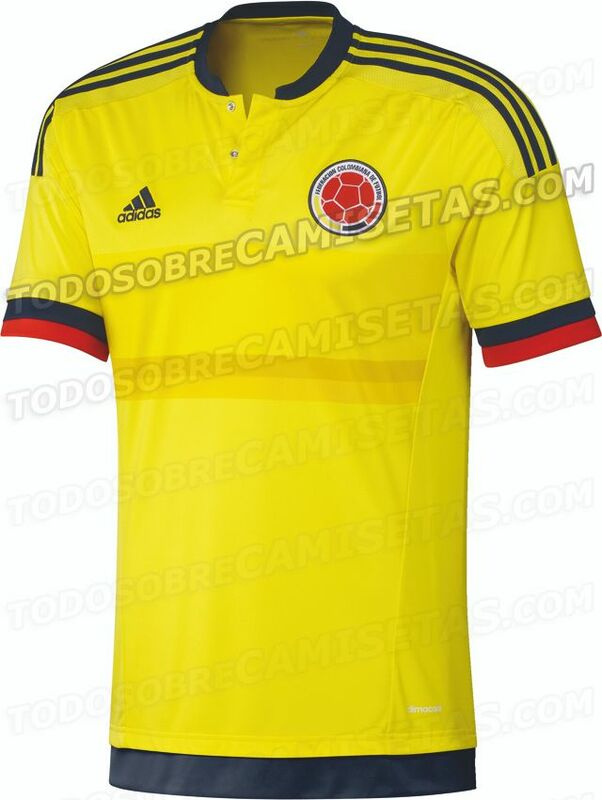 We have the first detailed photos of the new Adidas shirts for Colombia National Football Team to compete in 2015 Copa America. 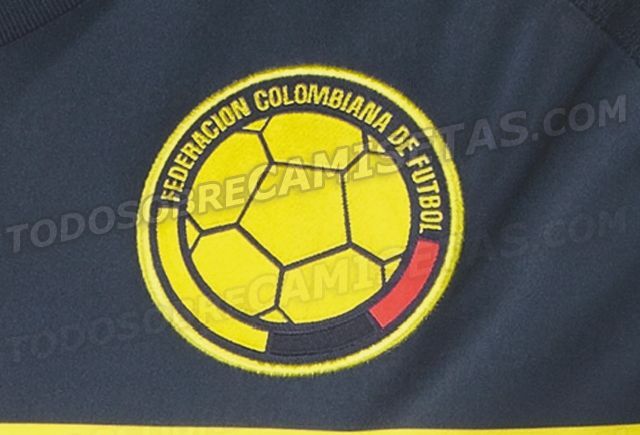 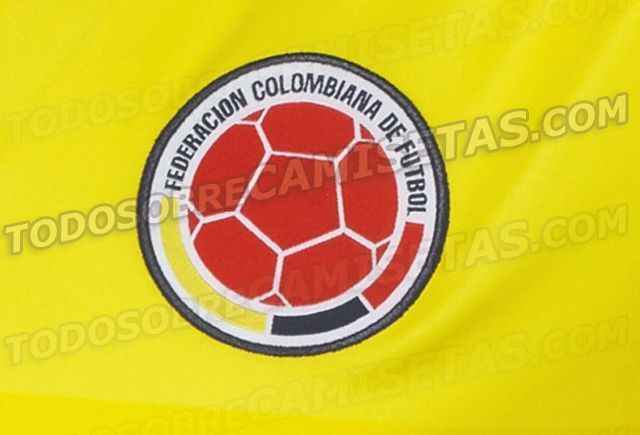 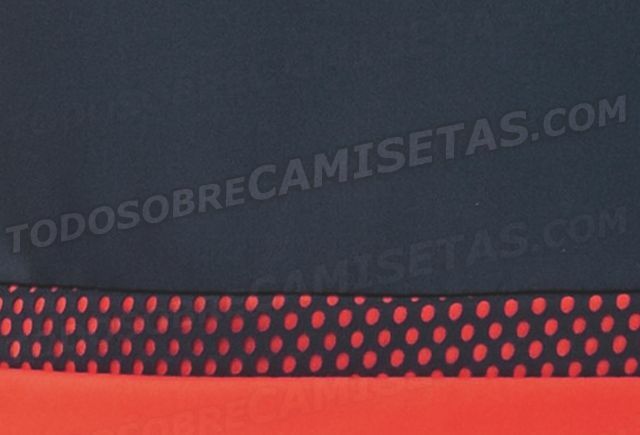 The home kit resembles the one they had back in 2011 through 2013, with red details on the cuffs to form the Colombian flag. 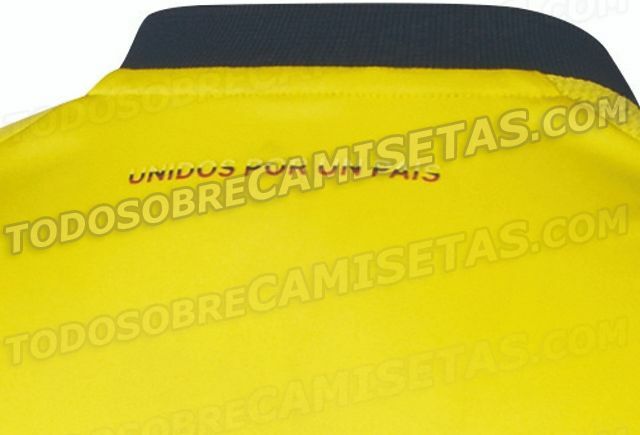 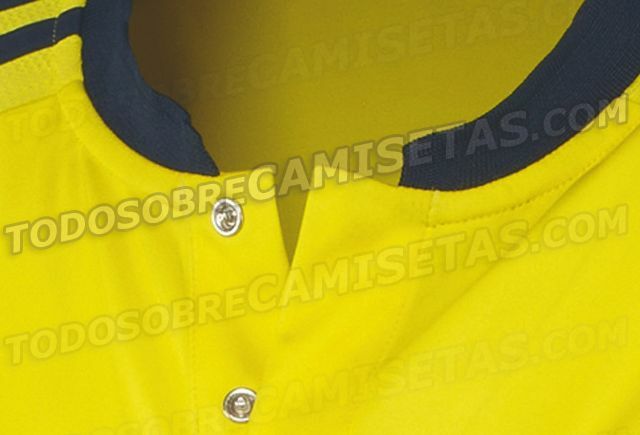 A buttoned collar and a watermark flag occupy the all-yellow front, as blue takes posession of the lower part. 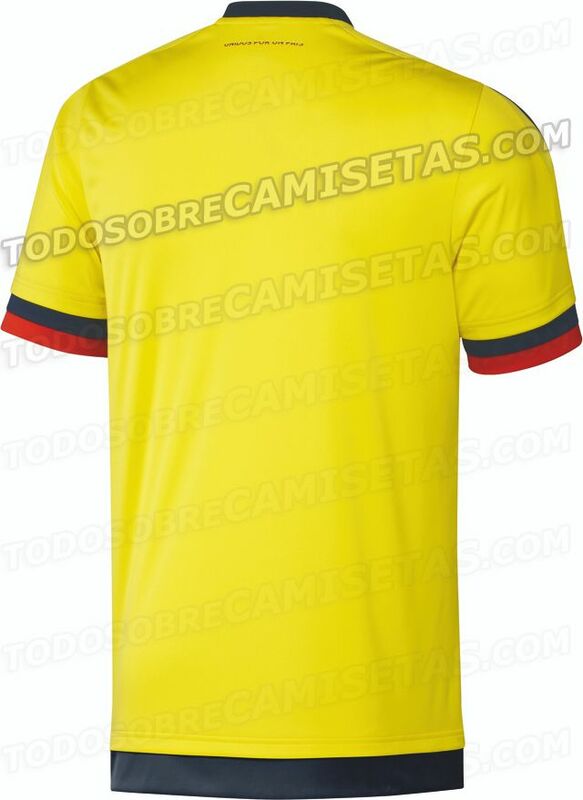 The away kit discards the red used in the World Cup and sees the return of blue as main color. 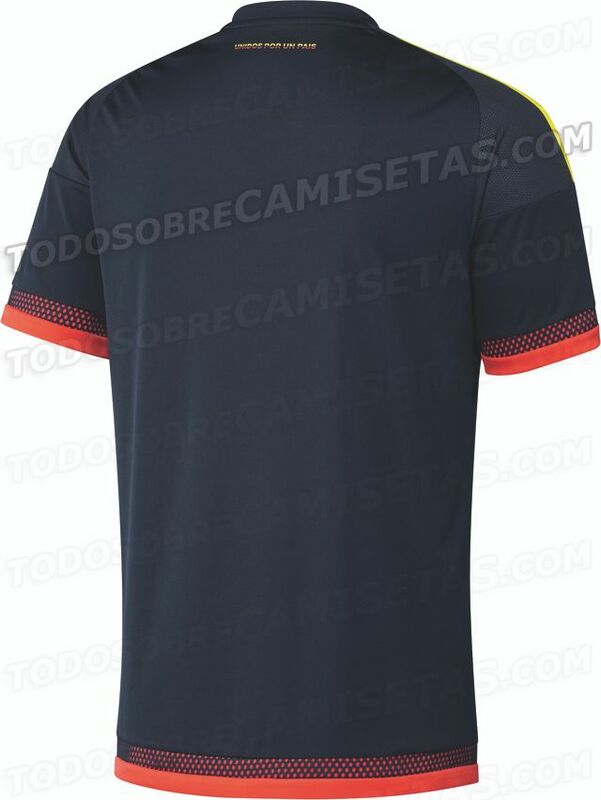 The template is pretty similar to the one seen in Wales and Northern Ireland jerseys, but with V neck. 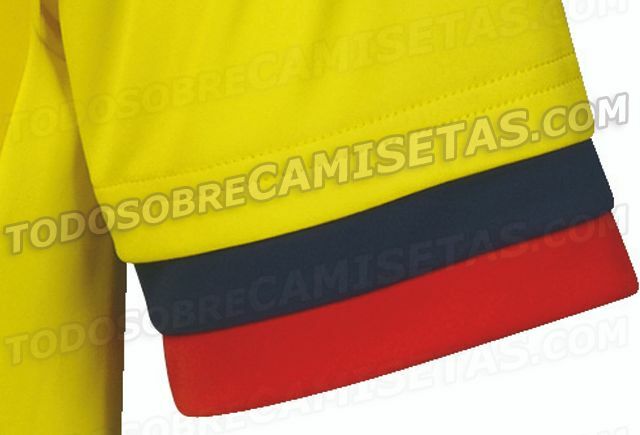 Two stripes, yellow and red, make up the National flag, while the crest goes in yellow to contrast the base color. 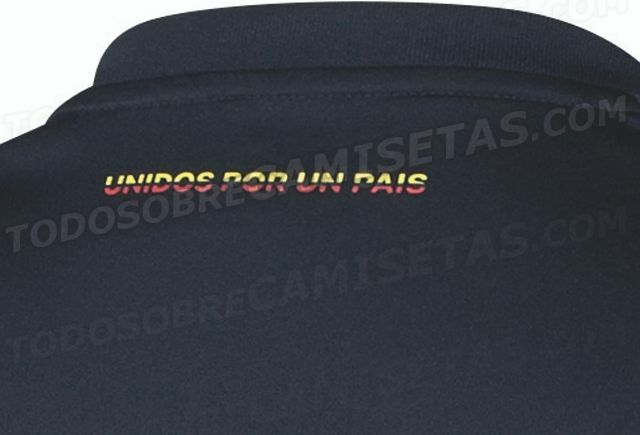 Both jerseys have the “Unidos por un país” motto in the upper back applied in three colors. 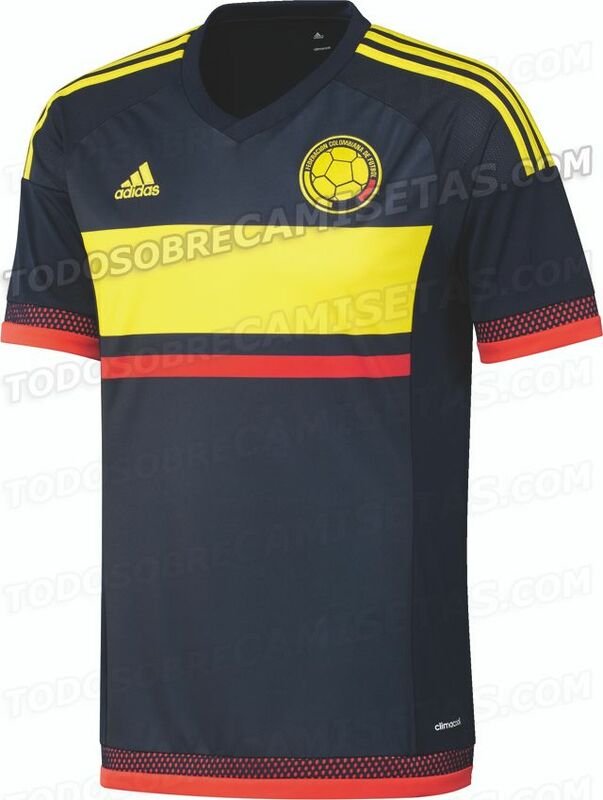 What’s your first impression on these jerseys? 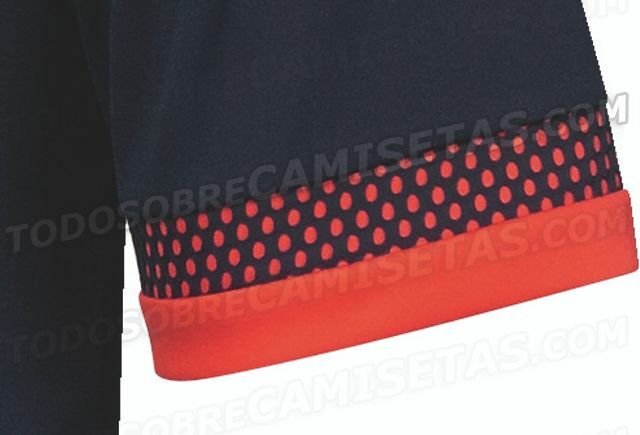 Are they better than the World Cup ones?